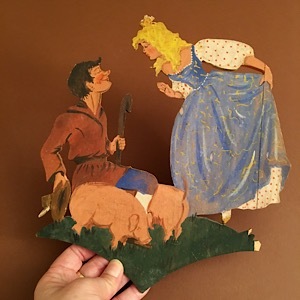 I think this fairy tale wood picture was produced earlier that 1946. 1946 was the year it was given as a gift, as a Christmas present actually. 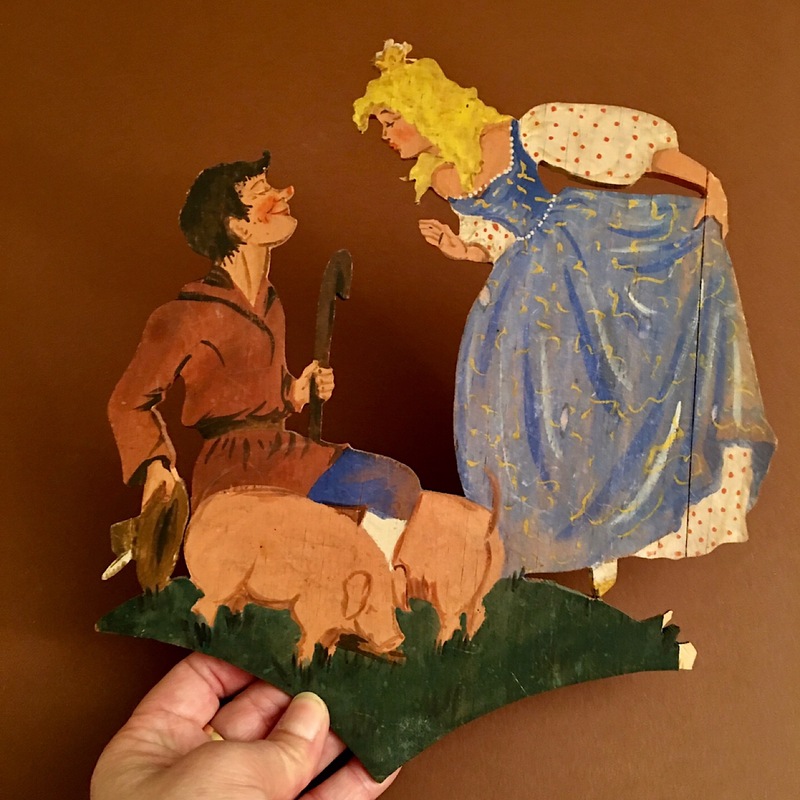 Hand-painted on wood with varnish and very rare.